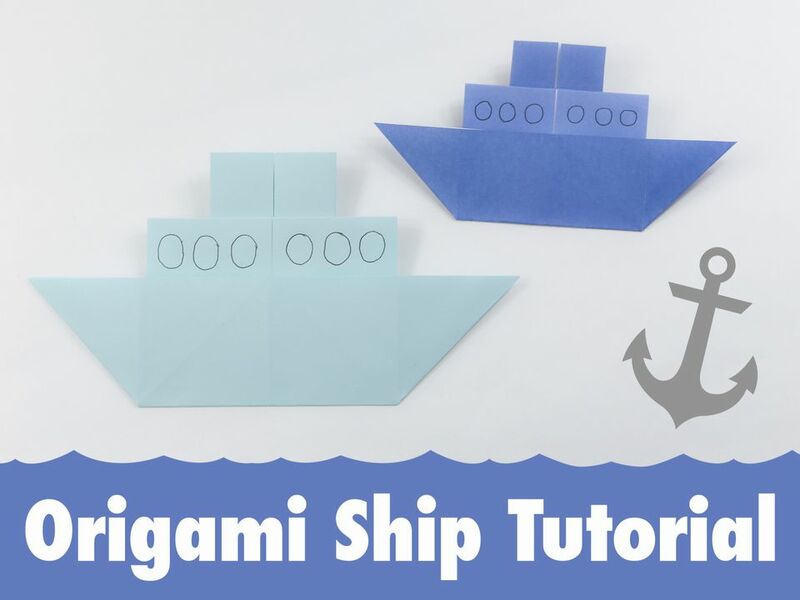 This Traditional Origami Ship is pretty easy to make, you only need one sheet of square paper for this one. we have drawn on some simple circles that look like portholes, but you could also add some rigging, anchor, and a lifebuoy. If you're new to origami this might be a bit tricky, if so have a look at How to make an Origami Sail Boat. 1. Fold your paper in half and unfold. 2. Fold the right edge to the center crease. 3. Fold the left edge to the center crease. 4. This is called an origami cupboard base. 6. Unfold the previous step. 7. Fold the bottom edge to the center crease you just created. 8. Pull out the left section. 9. Flatten out the section you pulled out. 10. Pull out the right section. 11. Flatten out the right section. 13. Fold the top edge to the bottom. 14. Fold the top section up from the center crease. 15. This is what the crease looks like. 16. This is what you should have. 17. Fold the right side of the top section up from the center as shown. 18. Fold the left section up the same way. 19. Holding the center with your left hand, Pull the right section into the center. 20. Push the paper that results to form an upside down triangle. 21. Do the same with the left side. 22. Make the same squash fold as the right side. 23. Turn the model over. 24. It's done. You can use a black pen to draw some portholes.